One of my all-time favorite winter time desserts is bread pudding. 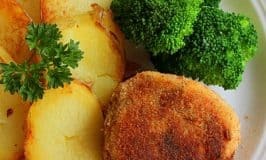 Hot and satisfying this is truly Irish comfort food for cold winter evenings. 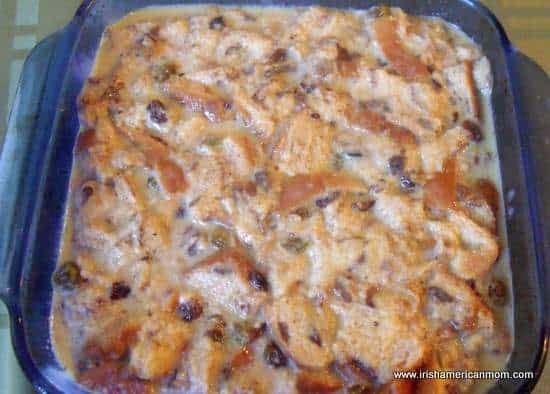 Traditionally in Ireland and England, bread puddings are steamed, but sometimes there just isn’t enough time in the day to dedicate a few hours to steaming a raisin pudding. My kids love cinnamon raisin bread, so I buy many loaves each week. 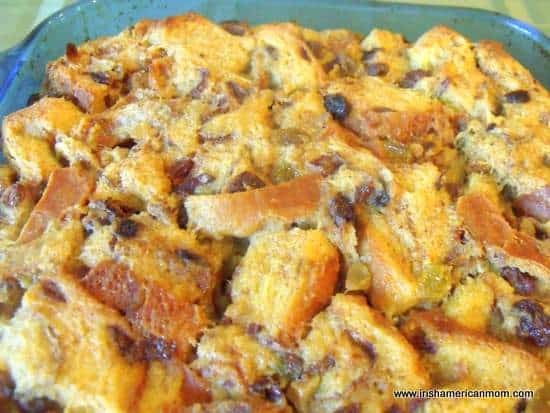 As I toasted a few slices one day I got to thinking what a perfect ingredient for bread pudding. 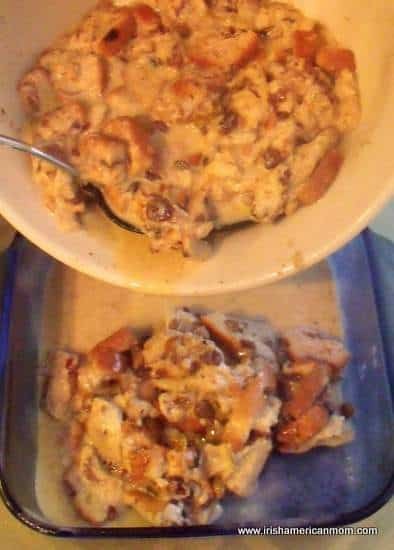 It already has raisins and cinnamon, so I decided just a few more ingredients might create a very simple bread pudding, that could be baked in the oven, instead of steamed. Once I developed my recipe, I was in heaven. 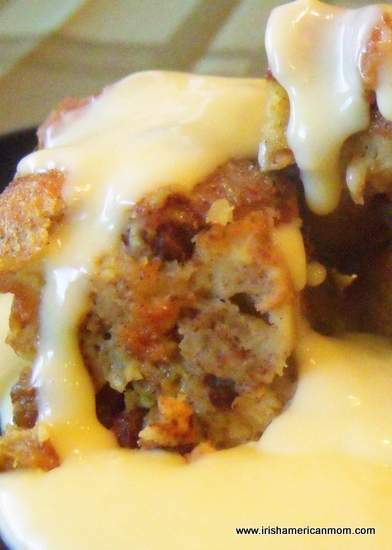 I hope you enjoy my hassle-free, bread pudding recipe, no boiling required. 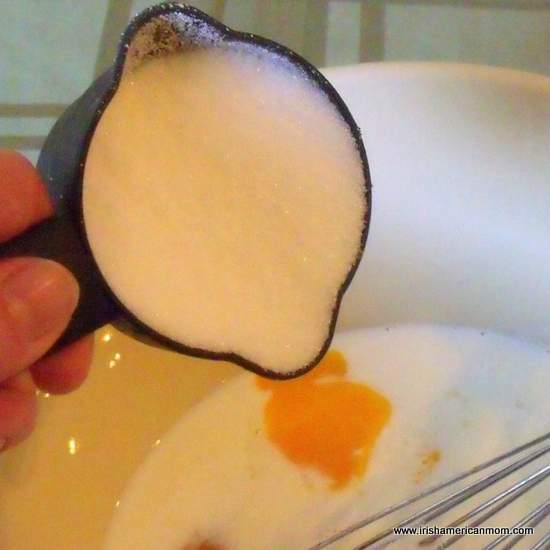 Crack the eggs into a large mixing bowl and add the milk. 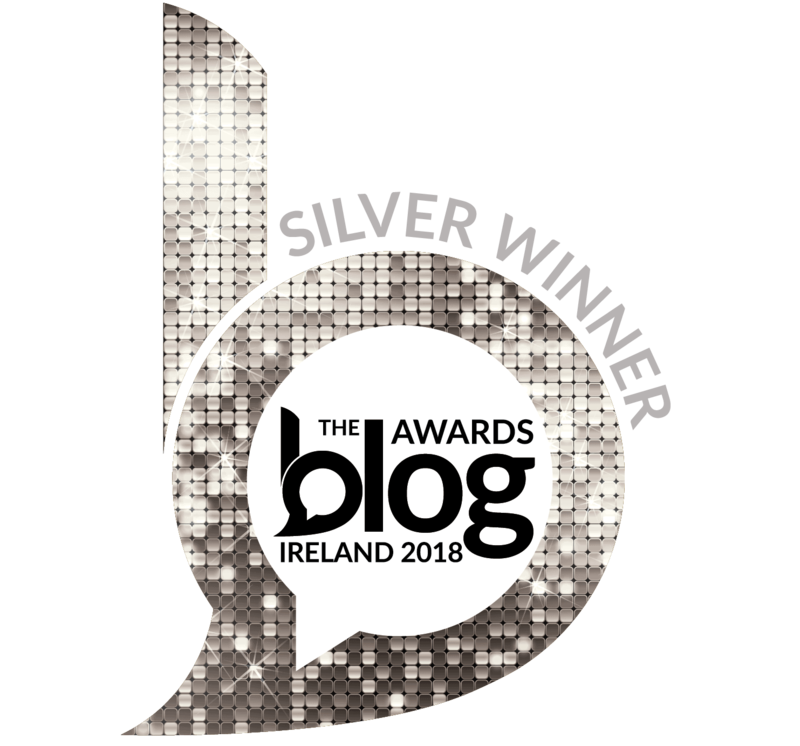 Pour in the brandy and whisk. 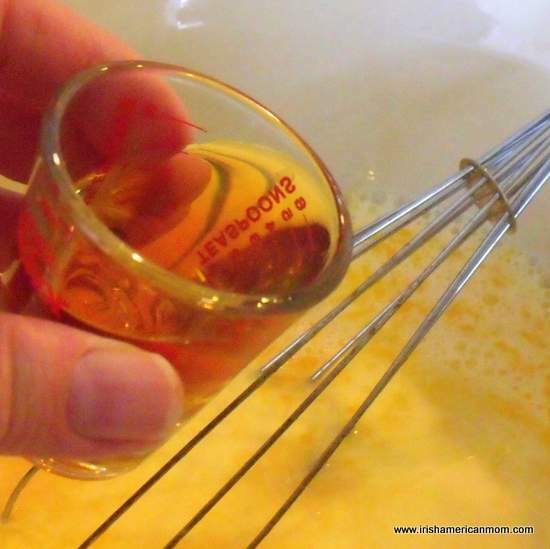 If you like a little less brandy flavor, reduce to 1 tablespoon instead of two, or even omit if you prefer. 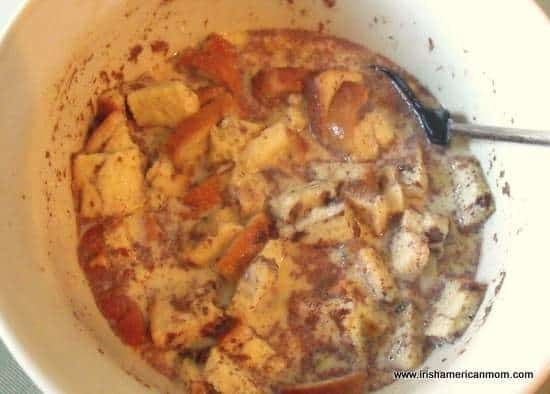 The alcohol is burnt off during the cooking process, so all that remains is a lovely, warm, cognac flavor throughout the pudding. 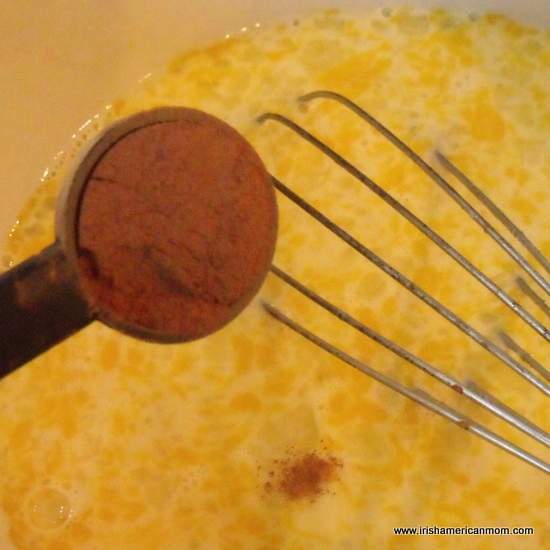 Sprinkle the cinnamon into the egg mixture. 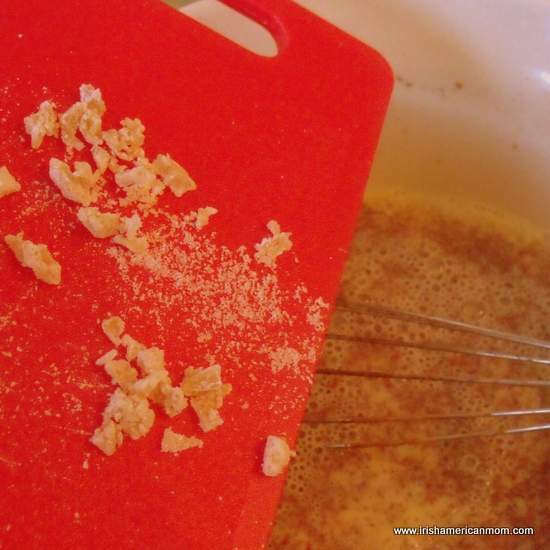 Chop the crystallized ginger into small pieces before adding to the egg mixture. The pieces can be a little large straight out of the bottle, and could be overwhelming when chewed in large chunks in the pudding. Next come the golden raisins. Now, it’s time to cut up the bread into 1 inch square pieces. I usually cut each slice into nine relatively equal squares. 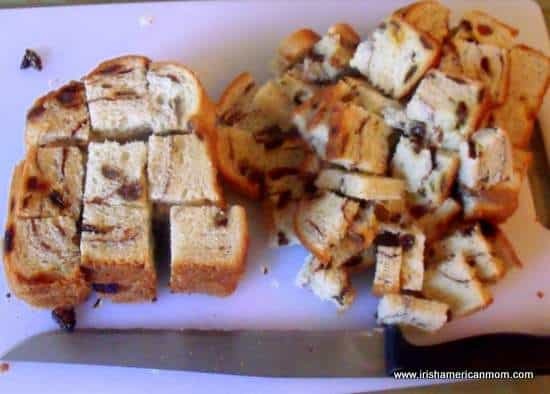 Make sure you break up the bread pieces before adding them to the egg mixture. They tend to stick together, especially if you cut five or six slices together at a time, like I do. Add half the bread and mix gently. Mix in the rest of the bread and press it down into the egg mixture to make sure it is well covered. 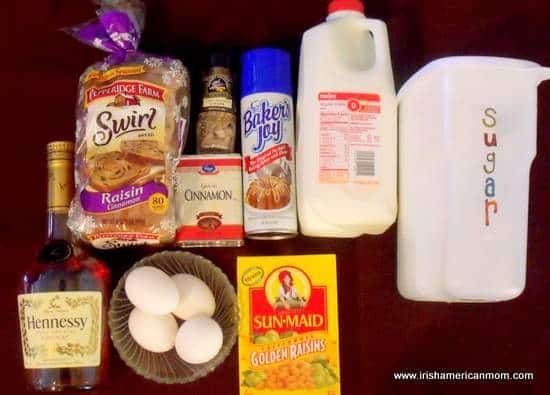 Leave the pudding mixture sit for 15 minutes to make sure the bread soaks up as much milky egg mixture as possible. While waiting for the bread to soak, turn the oven to 350 degrees F to pre-heat. Prepare an 8 x 8 inch baking dish by coating it with cooking spray. 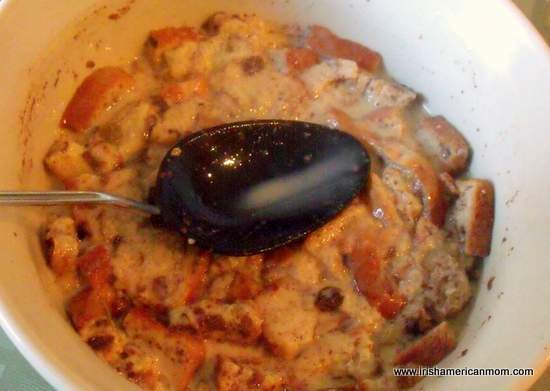 When the bread has soaked for 15 minutes and the oven is hot, pour the pudding mixture into the prepared baking dish. 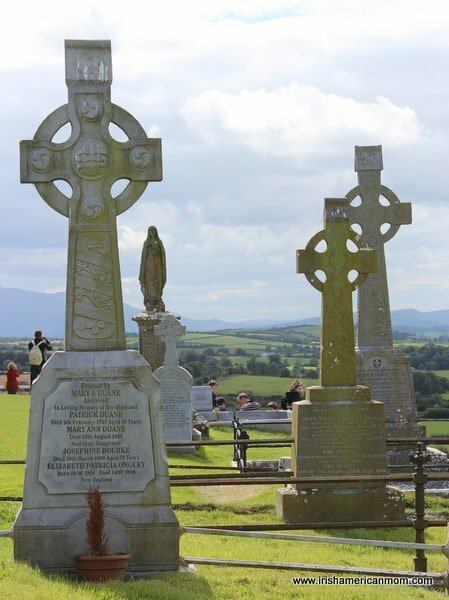 It should look wet and soggy like this. Bake it in the oven for 45 to 50 minutes. When it is cooked a knife can be inserted and should come out clean. 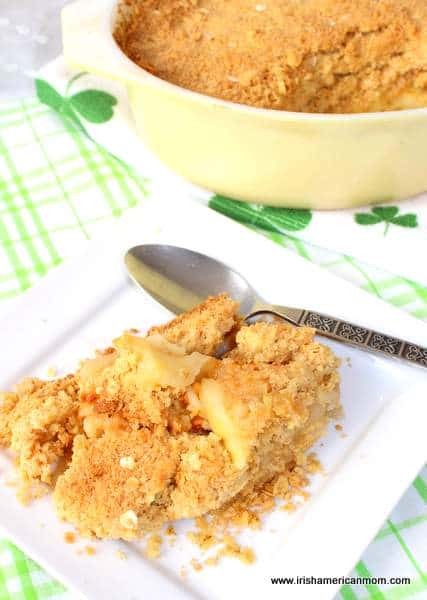 Serve with hot custard, a favorite Irish and English accompaniment to any pudding. My custard recipe is available by clicking here. 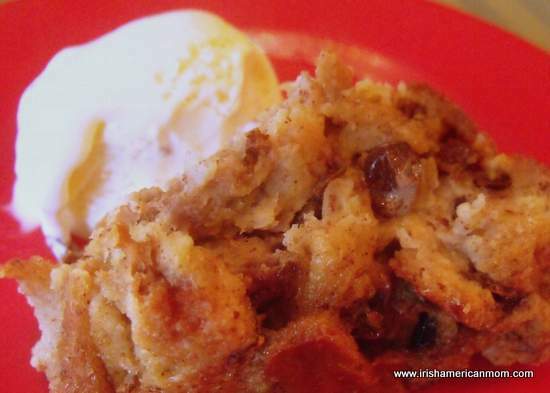 Or perhaps you might prefer some hot cinnamon bread pudding with a scoop of vanilla ice cream. Whichever way you choose to serve it, this pudding is simply delicious. 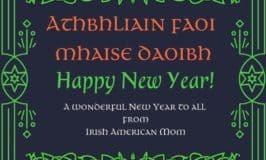 I hope you enjoy it during the coming winter days. 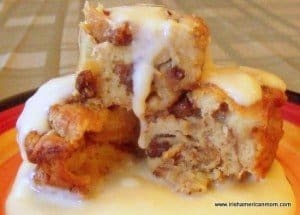 Easy bread pudding utilizes cinnamon raisin sliced bread and is cooked in the oven rather than steamed to minimize the hassle of preparing this winter time favorite dessert. 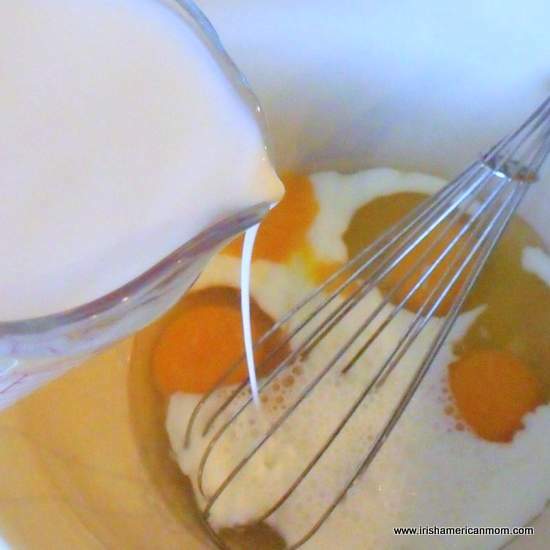 Step 1 In a large bowl, whisk the eggs, milk, and brandy together. 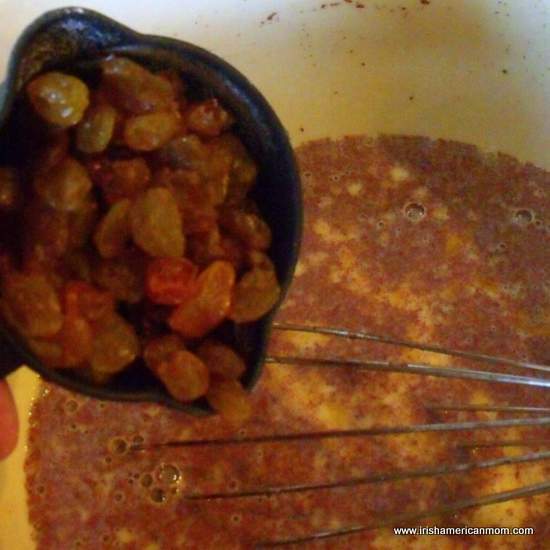 Add the sugar, chopped ginger, golden raisins and cinnamon. Mix well. Step 2 Cut the bread into 1-inch pieces. Gently stir the bread pieces into the egg mixture. Let stand for 15 minutes, stirring occasionally. Step 3 Preheat the oven to 350 degrees F, while the pudding soaks. Step 4 Coat an 8-inch square baking dish with cooking spray. Step 5 Pour the pudding mixture into the baking dish. If desired, sprinkle the top with a little sugar. Step 6 Bake at 350 degrees F for 45 to 50 minutes. When cooked a knife inserted into the middle comes out clean. Step 7 Serve warm with egg custard sauce or vanilla ice cream.